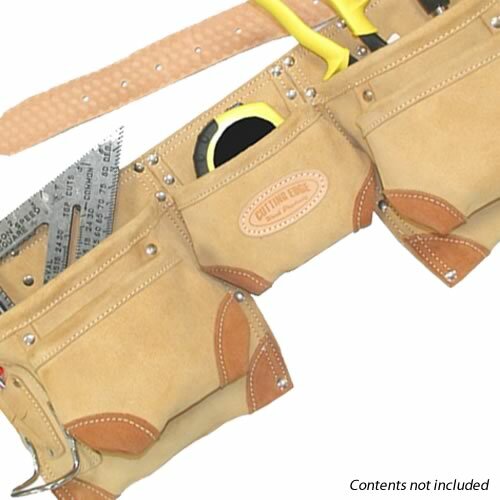 Carpenters tool pouch belt set made from the best suede cowhide leather, resistant to cracking, punctures and tearing. 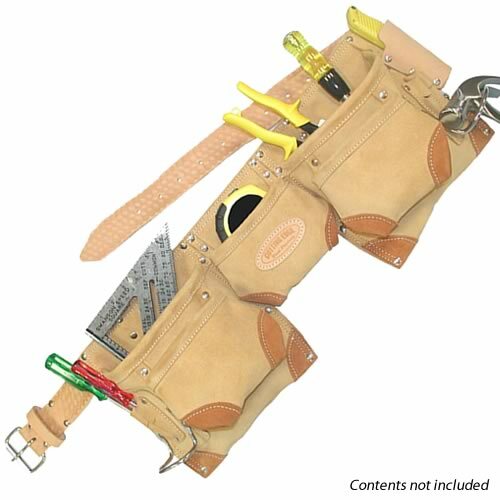 Features multiple tool pockets and holders in addition to two steel hammer loops. Reinforced corner pockets and super tough steel rivets increase the overall strength. Robust 2" leather belt with double prong roller buckle allows easy adjustment to fit waist sizes up to a 48" waist.